Marqui Management has experience in numerous industries. Our team provides each client with a combination of industry knowledge and expert perspectives from other sectors to offer our clients fresh perspectives and breakthrough business insights. Our mission is to change the velocity of the transformation and innovation of marketing, driving business growth with closer and stronger consumer engagement. We share our clients’ ambitions. We work to understand their business and deliver true results—focusing on strategic decisions and practical solutions. Moreover, we align our incentives with our clients’ objectives, so they know we’re in it together. We work across industry sectors, empowering our clients with cutting-edge solutions ensuring they set new standards of excellence in their industries, not follow the herd with off-the-shelf solutions. We work across industry sectors, empowering our clients with cutting-edge solutions. Marqui Management works with development, construction, and building products firms. From Fix and Flips to Remodels to full-scale development projects. We move your brand forward by addressing industry challenges and implementing pragmatic solutions to fuel growth. The media industry is consistently in the midst of a sweeping digital transformation – technological advances and infrastructure reshape the way content is consumed. Marqui Management focuses on exploiting digital opportunities and inspiring customer loyalty. Digital technology, emerging market opportunities and changing consumer trends are putting more variables in flux for the retail industry than ever before. Marqui Management as a leading consulting partner delivers operational excellence and fuels strategic growth. The non-profit sector, government, and higher education institutions play a significant role in the global economy – and in the lives of people around the world. Marqui Management as a leading consulting partner implements high-impact strategies quickly and effectively. As executives in this space know full well, running software, hardware and technology service related businesses represent its unique challenges. Marqui Management as a leading consulting partner works alongside clients to anticipate potential industry game-changers. The challenge for all telecommunications companies is choosing where and how to participate in the evolving markets. 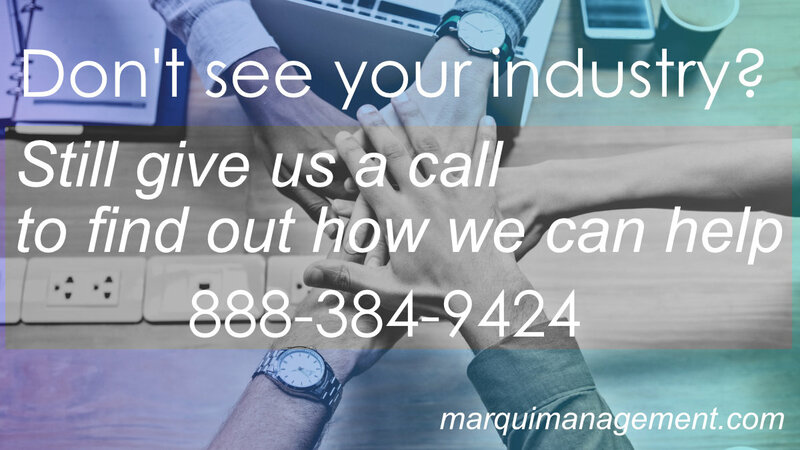 Marqui Management as a leading consulting partner has helped clients engage more while anticipating potential trends and opportunities. No two law practices are precisely alike, but every attorney needs new clients. Fortunately, our lawyer marketing experts know more about reaching legal consumers. We customize our legal marketing services to address your business goals and your next clients’ needs. Few industries are as demanding as transportation services. It is therefore critical to implement high impact strategies quickly and efficiently. Marqui Management as a leading consulting partner applies a differentiated point of view on trends and opportunities and builds proven, successful business models. We help top management make breakthrough decisions that generate profitable growth through improved cost positions and increased efficiency. Marqui Management as a leading consulting partner bridges the gap between sales and marketing for smoother conversions. Complex consumer behavior, retail consolidation, and emerging markets are creating new challenges—and opportunities—for consumer products companies. Marqui Management as a leading consulting partner presents strategic decisions to improve operating performance in this demanding environment. Tapping new revenue streams while also driving down costs and monitoring the regulatory environment makes it difficult to stay competitive in this increasingly complex landscape. Marqui Management as a leading consulting partner helps financial institutions manage risks and serve customers. Healthcare professionals must identify ways to deliver value to patients, fuel innovation and reduce the cost and complexity of operations. Marqui Management as a leading consulting partner helps reduce those costs and improve patient outcomes through insights into consumer behaviors, beliefs, and needs. Industrial services have a vast industry vertical that spans a diverse range of sub-sectors. 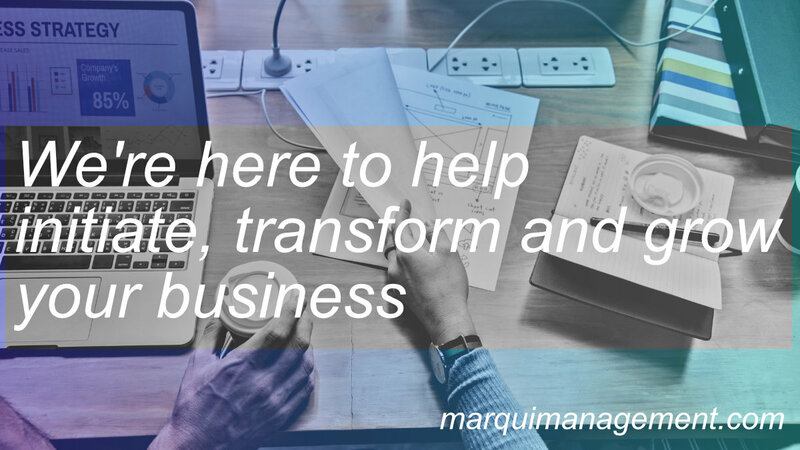 Marqui Management as a leading consulting partner is focused on helping our clients, across all sectors, mobilize their organizations to deliver sustainable results.